The fact that the car requires care and careful attitude, motorists do not need to be convinced once again. Especially strong is the link between the actions of the driver and motor period of life. 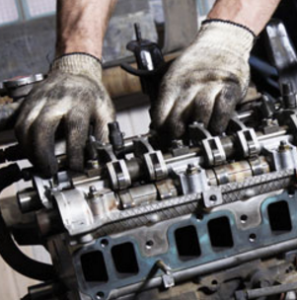 It is necessary to make a couple of minor errors at first glance, as the motor would require an urgent overhaul. Price of it is from $ 700 to $ 3 thousand. If you have the extra money – follow the tips below. No? Then think of them as instructions about what you shouldn’t to do. “Fly” on the car as often as possible. Modern engine is approximately for 300-400 thousand. km (about 15 years old with a standard run). In this case the manufacturer expects that most of the time the car moves at a speed of 60-80 km per hour, sometimes accelerated to 130 kilometers. Go for through deep puddles. A very effective way of turning a new engine into a pile of useless metal – water hammer. Use oil as long as possible. Manufacturers of modern cars, as a rule, recommend to change the oil every 10-15 thousand km. pour water instead of antifreeze. Do not make such mistakes. Next Post: eHorizon – saving of fuel and improving of safety.